Tayari Jones was born and raised in Atlanta, Georgia where she spent most of her childhood with the exception of the one year she and her family spent in Nigeria, West Africa. Although she has not lived in her hometown for over a decade, much of her writing centers on the urban south. "Although I now live in the northeast," she explains, "my imagination lives in Atlanta." Her first novel, Leaving Atlanta, is a coming of age story set during the city's infamous child murders of 1979-81. Jones herself was in the fifth grade when thirty African American children were murdered from the neighborhoods near her home and school. When asked why she chose this subject matter for her first novel, she says, "This novel is my way of documenting a particular moment in history. It is a love letter to my generation and also an effort to remember my own childhood. To remind myself and my readers what it was like to been eleven and at the mercy of the world. And despite the obvious darkness of the time period, I also wanted to remember all that is sweet about girlhood, to recall all the moments that make a person smile and feel optimistic." Leaving Atlanta received many awards and accolades including the Hurston/Wright Award for Debut Fiction. It was named "Novel of the Year" by Atlanta Magazine, "Best Southern Novel of the Year," by Creative Loafing Atlanta. The Atlanta Journal-Constitution and The Washington Post both listed it as one of the best of 2002. She has received fellowships from organizations including Illinois Arts Council, Bread Loaf Writers Conference, The Corporation of Yaddo, The MacDowell Colony, Arizona Commission on the Arts and Le Chateau de Lavigny. Her second novel, The Untelling, published in 2005, is the story of a family struggling to overcome the aftermath of a fatal car accident. 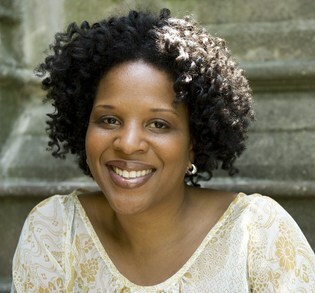 When asked why she chose to focus on a particular family in this work after the sprawling historical subject matter of Leaving Atlanta, Tayari Jones explains, "The Untelling is a novel about personal history and individual and familial myth-making. These personal stories are what come together to determine the story of a community, the unoffical history of a neighborhood, of a city, of a nation." Upon the publication of The Untelling, Essence magazine called Jones, "a writer to watch." The Atlanta Journal Constitution proclaims Jones to be "one of the best writers of her generation." In 2005, The Southern Regional council and the University of Georgia Libraries awarded The Untelling with the Lillian C. Smith Award for New Voices. The Silver Girl, her highly anticipated third novel, is forthcoming from Algonquin Books. An excerpt has been published in Calaloo. Tayari Jones debuted the piece as a headline reader at the conference of the Associated Writers Conference in Atlanta.